If you are a family member or professional who would like to offer your spouse, child, clients, patients or students help using the tools of technology as a resource to maximize progress, I would be pleased to help! Avoid the time, money and energy that it would take you to research, select and learn to use technology on your own. Benefit from my many years of experience and expertise. Revitalize your efforts and learn about resources that you may not realize exist. Speed up the learning curve by having apps, software, devices and helpful resources presented to you! 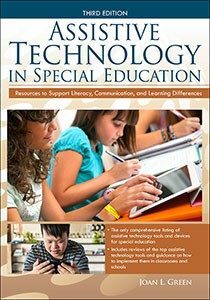 Specialized software and assistive technology to improve reading, writing, talking, listening, remembering, and thinking. These include products using voice recognition, text readers, word prediction, and drill and practice exercises. Free web-based interactive sites which can help improve communication, learning and executive functioning. Technology tools such as the iPad, recording pens, Smart Phones, and computers. Apple, Google and Microsoft apps and accessibility features. Local, national and online resources to promote self-advocacy. Generating an enjoyable and stimulating home practice program to compensate for and improve communication and cognitive skills. Developing alternative compensatory strategies with an emphasis on the most appropriate technology. Accessing community resources to help improve overall quality of life. Book an appointment and complete the information requested to provide information about your situation and training needs. You may be a rehabilitation or educational professional who is interested in learning to use technology such as an iPad in your practice or work setting or a family member who wants to learn to help someone else reach their goals faster using technology. After reviewing your interests and needs, I will provide you information about relevant upcoming or recorded webinars, workshops or online courses, or we can discuss creating a customized learning opportunity to meet your needs.